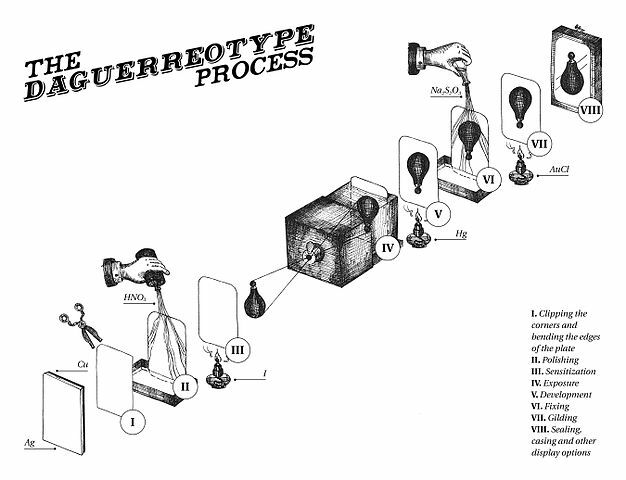 In 1939 the French Académie des sciences published the invention of the daguerrotype process and almost immediately, purchased the technique and made a present of it to the world. It is hard to overestimate the transcendence of this new way to represent reality and its value as a tool for research. 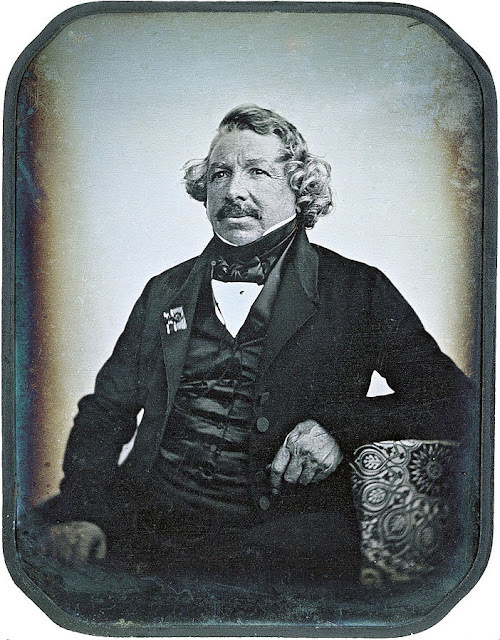 Louis-Jacques-Mandé Daguerre is, together with Joseph Nicéphore Niépce, the inventor of the daguerreotype process. Daguerre and Niépce had entered a partnership in 1829 and worked together until the latter's death in 1833, when Isidore Niépce would take his father's place. 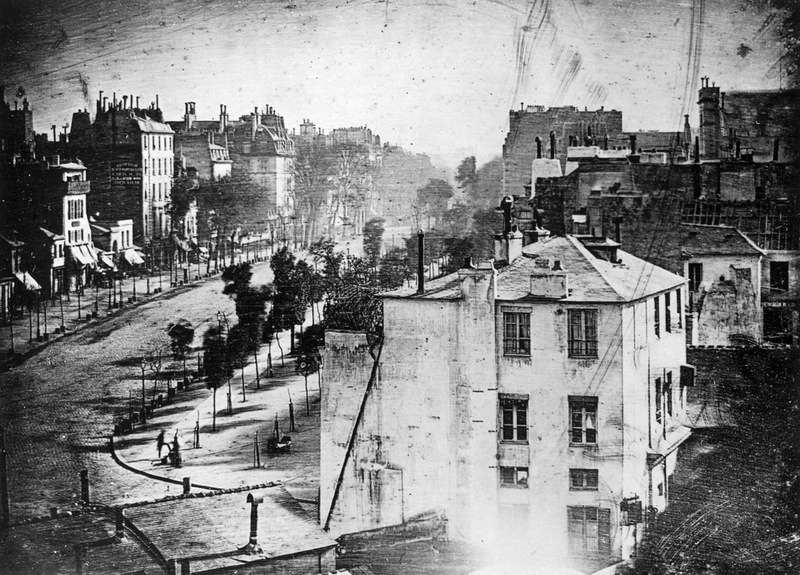 A decade in total was spent further experimenting on the basis of Niépce's discoveries - he had produced the first heliograph or permanent photograph of the rooftops of Paris from his window in 1826-7. 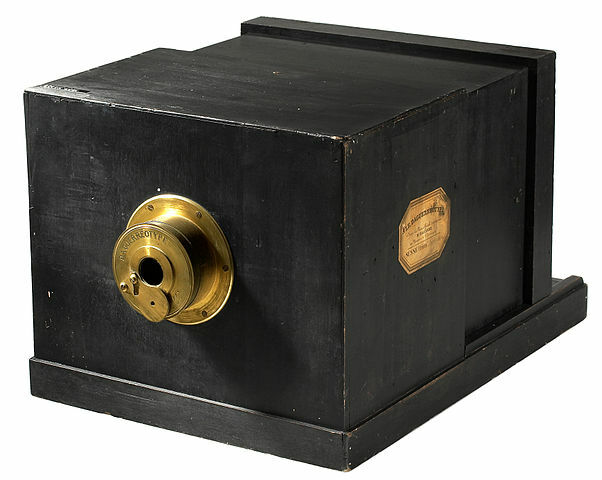 The inventors would receive life pensions from the French government but only one would see his name live on, as two new words entered humanity's vocabulary: daguerreotype and daguerreotypist. 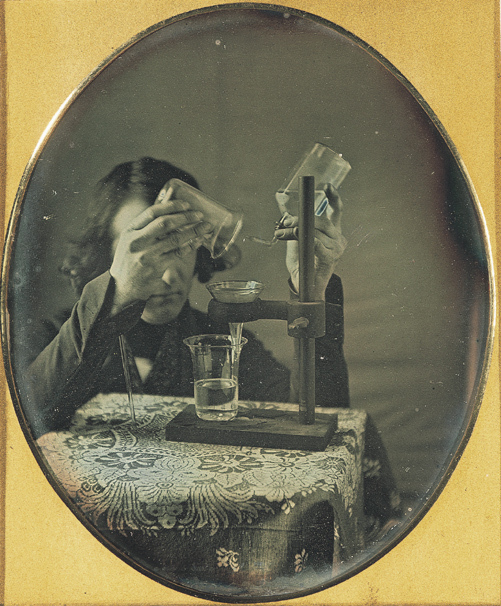 The two largest daguerreotype collections in the world are the one at Eastman House, with approximately 500 daguerreotypes, and the one at the Bibliothèque Nationale, in Paris. The daguerreotype image is formed on a highly polished silver surface over a copper - or other metals, such as brass or even pure silver - substrate, but other metals can be used. The usual stock material in the nineteenth century was Sheffield plate, produced by fusion-plating or by electroplating or, alternatively, by a combination of the two techniques. Over the plate, a coating with a compound of iodine, bromine and chlorine, applied in a dark room, will make it sensitive to the light. Polished smooth and clean, it becomes the background, by reflection, upon which the picture will be created by exposure to light in a camera obscura. Depending on the sensitization chemistry used - the composition of all chemical materials experienced rapid change since the very beginning - the brightness of the lighting, and the light-concentrating power of the lens, the required exposure time ranged from a few seconds to minutes and even hours. All aspects of the technique would experience constant and rapid changes, decreasing exposure time, and increasing the accuracy and durability of the end result. Efforts to mechanize the most intensive parts of the procedure were soon successful. 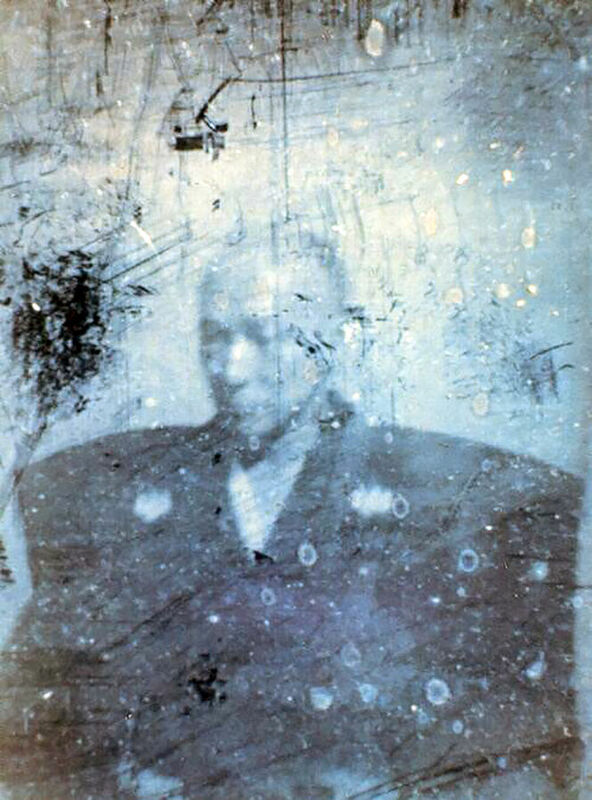 A sitter for a daguerrotype would need to be completely still during the whole time of exposure in order to avoid blurring the image irreparably. 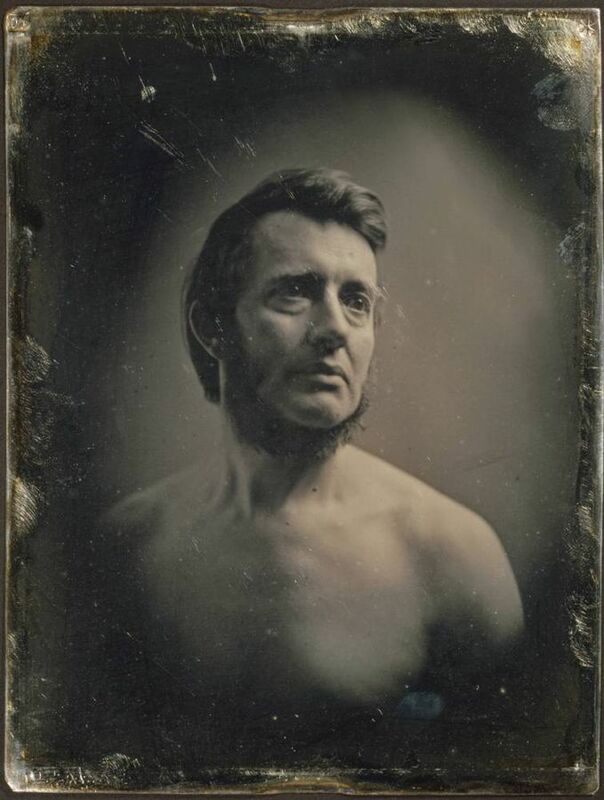 Daguerre himself expressed scepticism regarding the possibility of portraiture when exposure times were up to 20 minutes long. Only when exposure time was significantly reduced - the total amount of exposure time would always depend on the brightness of the light at the photographer's disposal - to just some minutes, portraiture was considered. Minutes, however, are still a long time to sit for a portrait completely immobile. 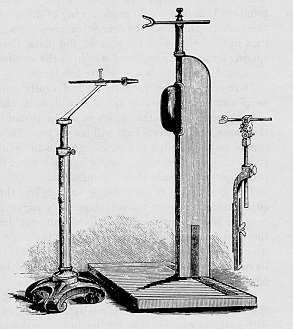 As early as August 1939, The Athenaeum suggested that ‘the head could be fixed by means of supporting apparatus’. 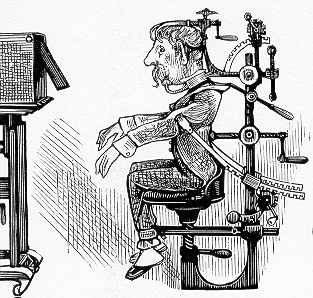 Sitters would be helped by the head rest, a metallic contraption composed of a metallic rod with a heavy cast iron base and column and a piece for resting the head. This aide would remain in use, and sold by photographic suppliers, until the first decades of the twentieth century. ‘the best, indeed the only way, to use it properly, is to let the sitter go into a natural position of the body and head, and then gently to advance the crutch until it just touches him‘. An unflinching portrayal of reality? ... But also to create a fictional one. 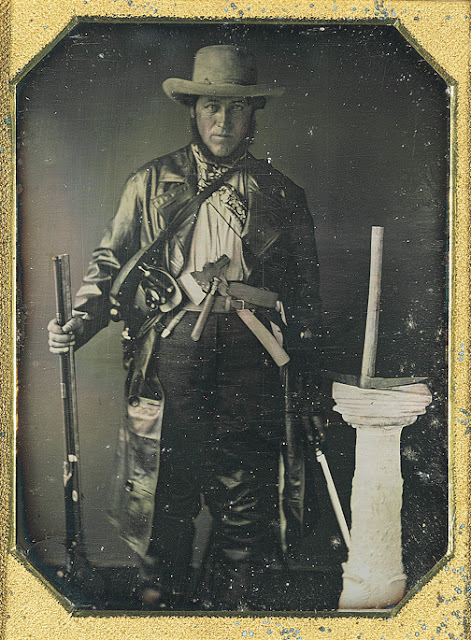 Portraiture using daguerreotypes became immensely popular. For the first time in history, people of modest means could obtain an exact likeness of themselves or their loved ones for a moderate cost. 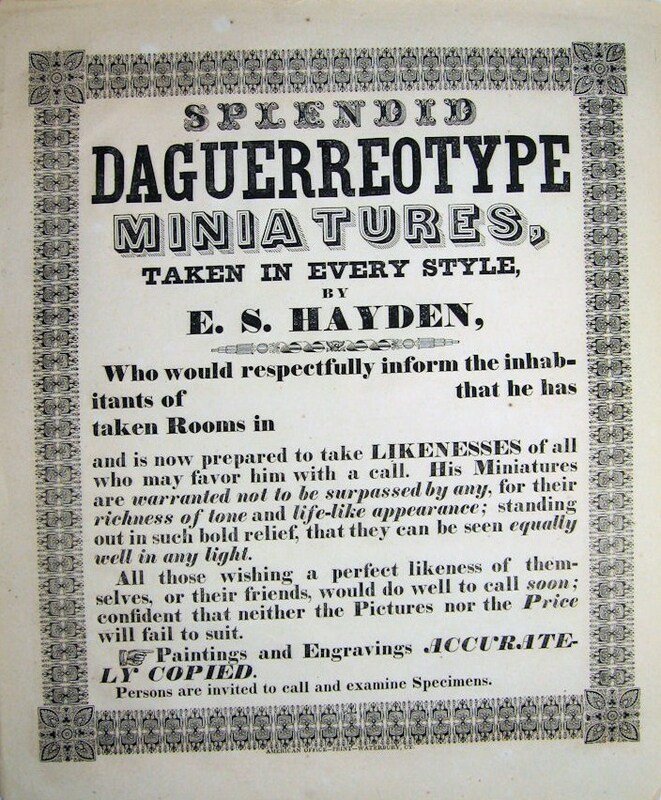 Daguerreotypists settled at a studio or itinerant individuals travelling from town to town encouraged not only celebrities and political figures to have their pictures taken, but also ordinary tradesmen and workers, proud of their skills and their professions, to spend nearly a day’s wages to have a photographic portrait made. A flourishing market in portraiture sprang up, predominantly the work of itinerant practitioners who travelled from town to town. The invention would be immediately and enthusiastically adopted in the United States following its introduction by Samuel Morse. 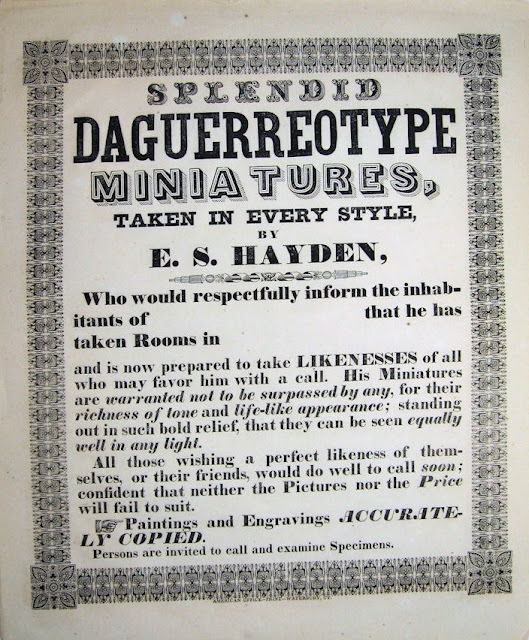 By 1853, it is estimated that three million daguerreotypes were being produced per year. While it is not surprising that a young, dynamic nation would embrace technological advancements at the same pace they were appeared, daguerreotypes became known and likewise adopted in a country just opening to Western culture, Japan. The George Eastman House (the Cromer collection and their flickr page) are an invaluable resource for researchers. A working (at the moment of publication) link is provided for each. The heliograph, the Harris Ransom center. The head rest and props, The Art Gallery of South Australia. 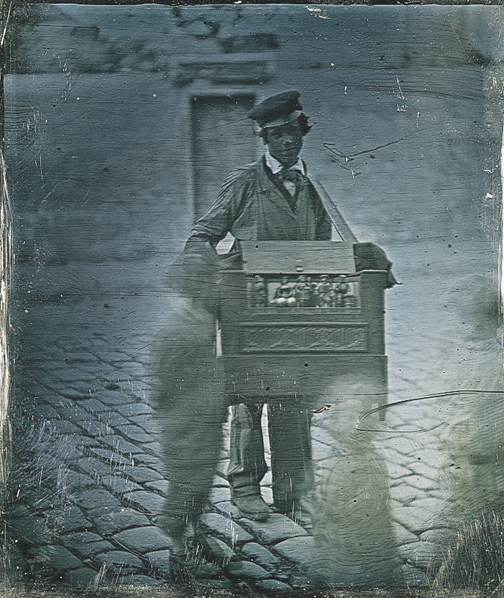 The extension of the practice of daguerreotyping: World Digital Library.